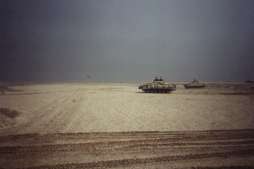 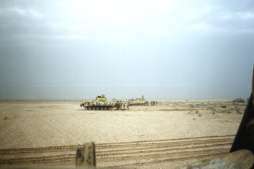 1st Armoured Divisions, Operation Desert Storm. 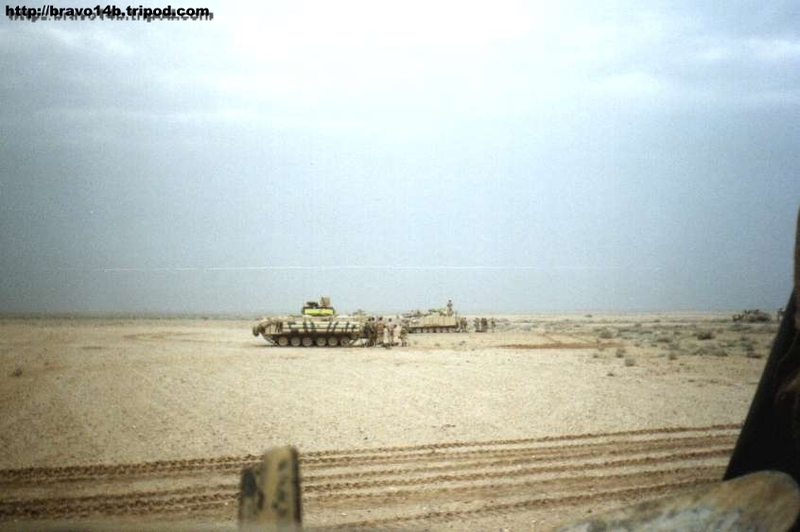 Whatever it was every one bust back into action, this was supposed to be a safe area, In the distance some 600m away an in tier Iraqi Mortar Rifle Regiment surrendered. 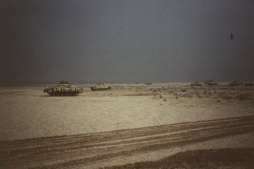 No one even knew they were there. 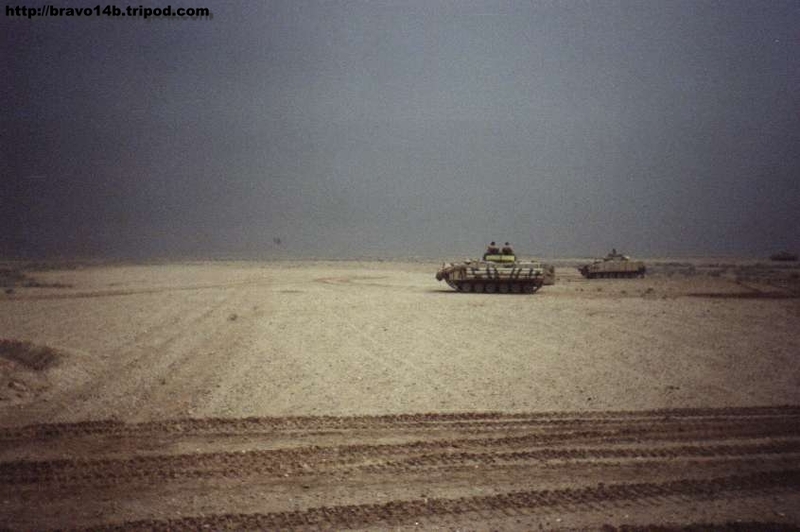 In the picture to the left you can see them coming towards us, on the right of the pic you can see two sqn's of Warriors moving in on them.